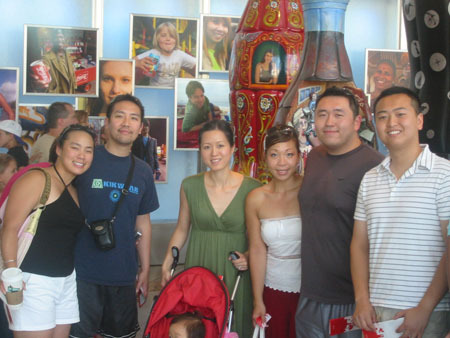 The Chang Family, (Su-Cheng, Wendy and Cadence), Jerry, Linda, Ash and I went to the Coke Museum in downtown Atlanta. Never before did I think a soda could become a museum but to my surprise it was really fun! Complete with 4D motion rides, human sized polar bear, working bottling factory, movies and huge number of memorabilia displays and historic artifacts all coke related, we dashed from exhibit to exhibit like it was Disney world! 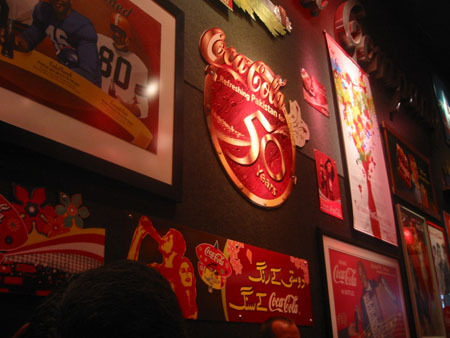 Of course the constant “drink coca-cola” brainwashing slogan was everywhere but in the end you a make yourself utterly sick of coke with soda buffet exhibit. 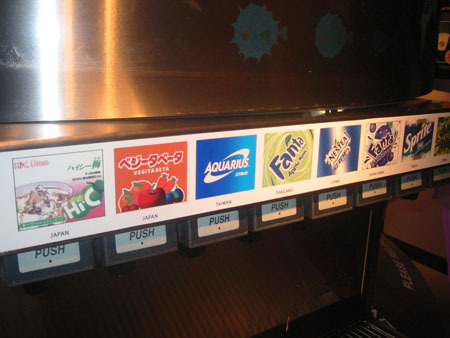 There was over 70 beverage flavors from Latin America, Europe, Asia, Africa, and North America. Some of the familiar brands like Fanta and Sprite were there but there was many more strange ones that we never heard of. Some tasted quite good, but other were ghastly, tasting either like bitter water or listerine. It was a great time and we enjoyed seeing it with our good friends. It was truly a fun time at Coke. It was so interesting to see the transformation of the brand over time and read about the history of our favorite drink… Coke. Yeap, we have officially been brainwashed. We can’t even think about Pepsi, as we feel like we’re betraying Coke. 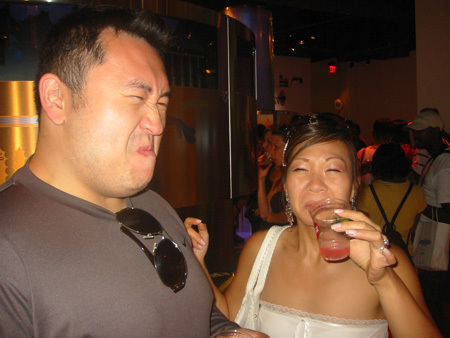 At the same time, there were some nasty nasty beverages at the taste test, we can’t imagine why anyone is Italy would drink “Beverly”. It has to be the most awful-tasting drink ever. I’m surprised Coke didn’t release Beverly into the US market. Your faces are priceless.